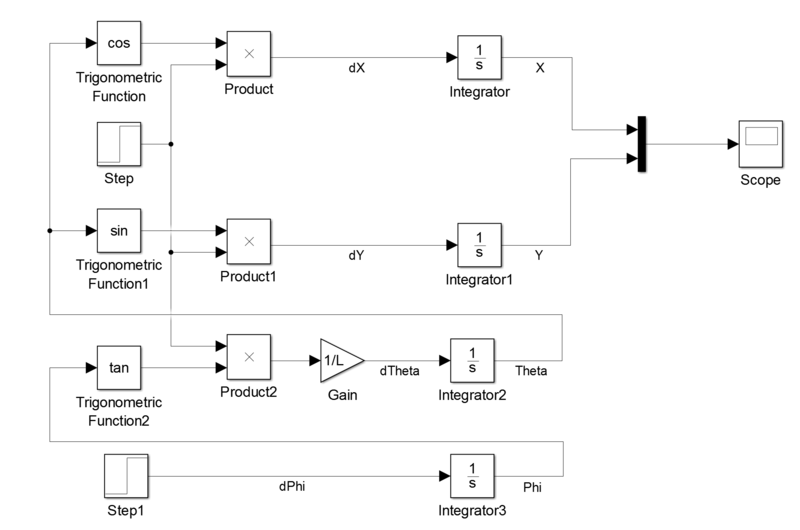 I want to make a matlab (simulink) control model for the system in the image below. The original pdf is only accessible if logged in Carleton's Learning Management System. 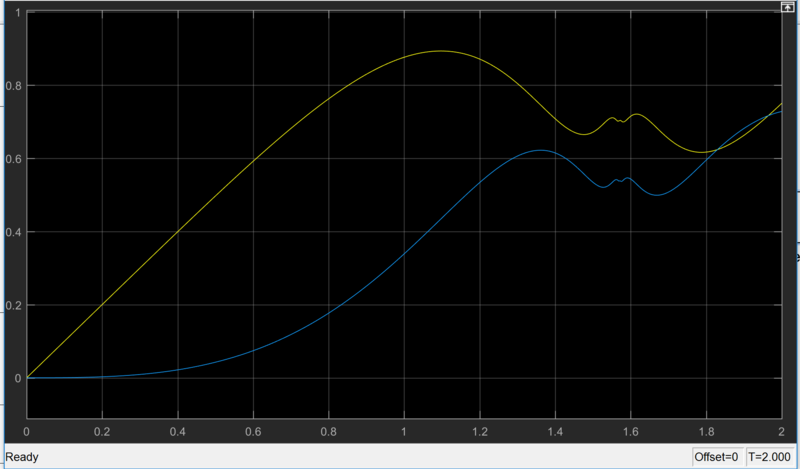 How do I get the dynamics of the system with given details in the image? A very broad but a valid question. Simulink and the Simscape Addon are used both as a physical simulation toolkit and as an environment for controller development. On the concept drawing in the OP a marsrover is seen which probably should move around and make some tricks. The first thing is to create a simulation. Thats like a computergame where Simulink works as a physics engine. One step further is to develop a controller on top of the simulation. In most cases this is done with a Domain Specific Language. 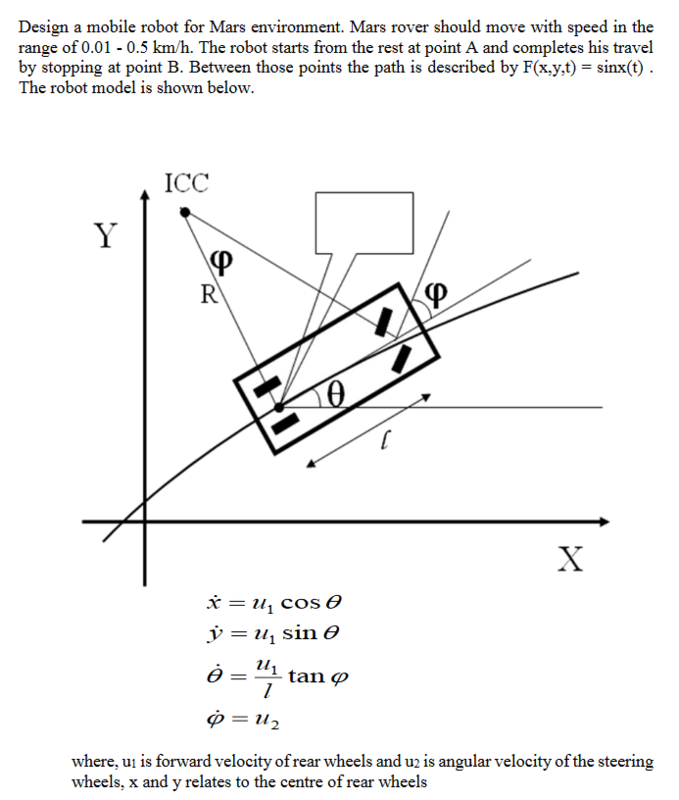 An example for the "Differential Drive implementation" is given on A Domain Specific Language for Modeling Differential Constraints of Mobile Robots, page 4 That paper is not Simulink specific but gives a more general idea. Not the answer you're looking for? Browse other questions tagged matlab dynamics or ask your own question.